All K-State alumni and friends are invited to Power Catbackers Banquet and Auction in Independence, Kansas! Games, inflatables and more! All kids in attendance will receive a clear drawstring bag full of goodies. Unique athletic ticket packages and commemorative items only available at this event. 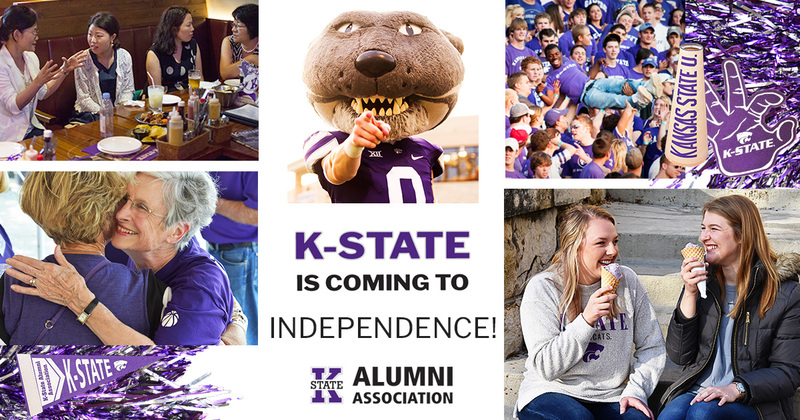 Alumni are encouraged to sponsor prospective high school students and give them an opportunity to learn about K-State. Contributions are encouraged to help offset costs by sponsoring a meal for one or more high school students who will be in attendance. High school students (class of 2019 or 2020) and community college transfers who attend will receive a free K-State T-shirt. A scholarship drawing will take place for high school seniors and transfer students attending K-State in fall 2019. Reservations are due May 23. BBQ brisket, pulled pork and dessert bar.